K&N drop-in air filter replacement for 2007+ R55 R56 R57 R58 R59 MINI Cooper S Turbo. If you want to replace your stock air filter and do an upgrade this is a perfect solution. The K&N air filter is also a lifetime use filter so you can just clean it and reuse it. 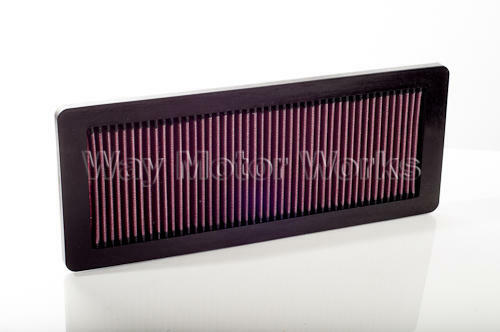 This filter will also fit 2009+ Factory JCW airbox with flat panel filter. Comes as a single K&N Drop in Air filter.